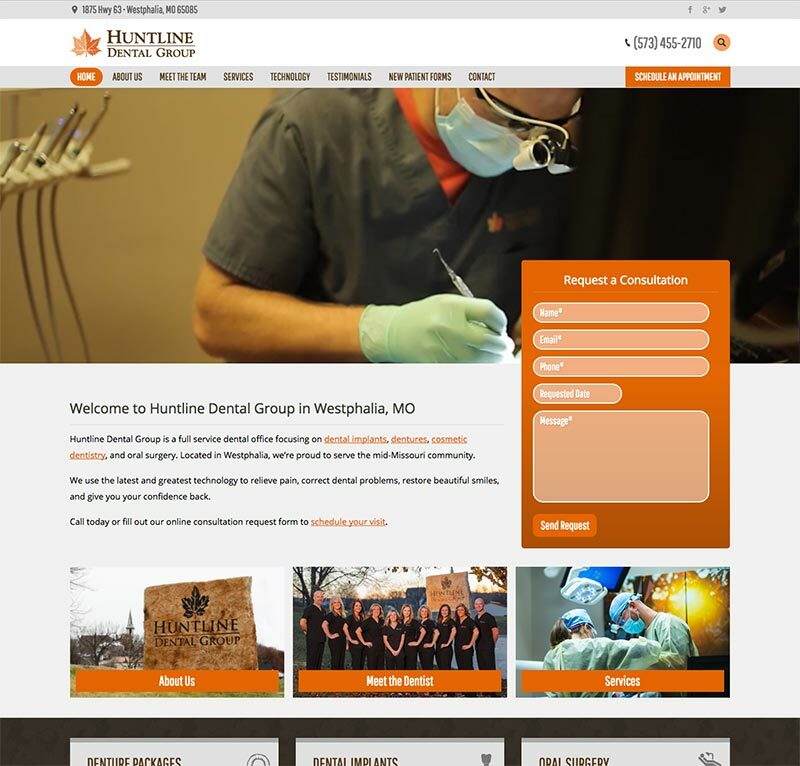 Huntline Dental Group, an up-and-coming dental practice specializing in dental implants sought to quickly grow awareness of their industry-leading technology and dental implant expertise. Their goal was to drive revenue and rapid growth. But, their unfinished website was holding them back. The SEO website audit revealed an immature competitive landscape for dental practices in this market. With improvements, Huntline had a real opportunity to dominate the digital space. The audit was also a wake-up-call to the client – growing and becoming an industry leader is impossible without a good website. After careful planning and research, the digital team at CMG designed an SEO-functional website structure, wrote 40 pages of SEO-friendly persuasive copy, and collected new site visuals. CMG then coordinated with the dental practice’s website company to implement the changes. The original plan of working with Huntline’s existing website vendor failed to yield results the client wanted. The new SEO-enhanced copy was in, but poor coding and design was still holding the site back. CMG took over and launched a full redesign, implementing a video-background featuring dental technology at work and enhancing visuals and calls-to-action throughout the site. Huntline appreciated CMG’s custom approach and research-driven solutions. Traffic, site engagement, and new visits all trending up.